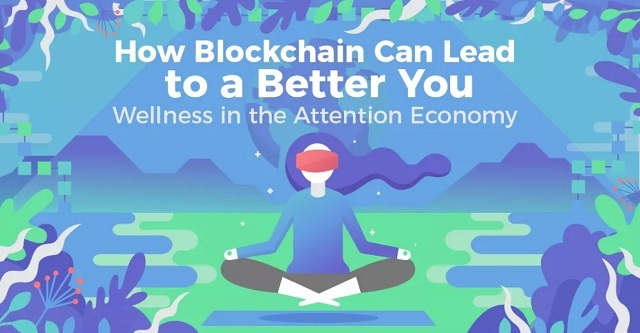 How Blockchain Can Lead To A Better You #infographic ~ Visualistan '+g+"
Stress is a major problem in the U.S., with 8 in 10 Americans reporting stress on a regular basis. Many look to social media and Netflix to unwind in their off time, but these often inhibit the pursuit of happiness and relaxation. With 67% of Americans using Facebook regularly and young adults who are active on social media reporting feeling isolated, it is clear something has to change. Some people are recentering in a tried and true way―yoga and mindfulness meditation. Last year, yoga was one of Google’s most searched terms in the U.K., and at least 40% of American adults meditate at least once weekly. Blockchain, augmented reality, and MOOCs are coming together and rewarding yogis, yoga teachers, and meditation guides in cryptocurrency. These practices are going to be making the incentives of practicing mindfulness even better. Learn more about blockchain and a better you with the infographic below, provided by High Vibe.